The Instagram feed is very important. After all, when people first see your profile, they see it first, instead of the individual posts. That’s why it’s important not just to plan the look of each individual photo, but the look of your feed. The feed also forms your brand’s story. As people scroll down, they form their impression of a brand based on the feed itself. What’s the brand’s theme? What is its main message? How are these impressions are formed? A viewer’s answer is based on their perception of the feed. That said, creating a good Instagram feed is a challenge. There are thousands of creative feed ideas on Instagram. There are tons of accounts with attractive color schemes. So how do you get and maintain a follower’s interest? How do you stand out? 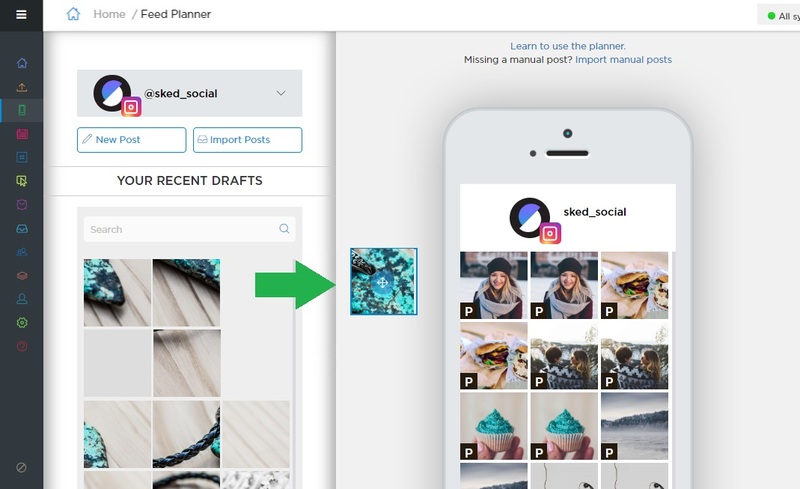 To help you create an eye-catching feed, we’re going to give you some expert ideas and show how you can use the Sked (formerly Schedugram) planner and image editor tools to bring your vision to life. Starting out with a plan and knowing what you want is super important. That’s why we’ve gathered Instagram feed ideas to help you get inspiration. From color combinations to popular patterns draw inspiration from these distinctive styles to draw likes and follows. 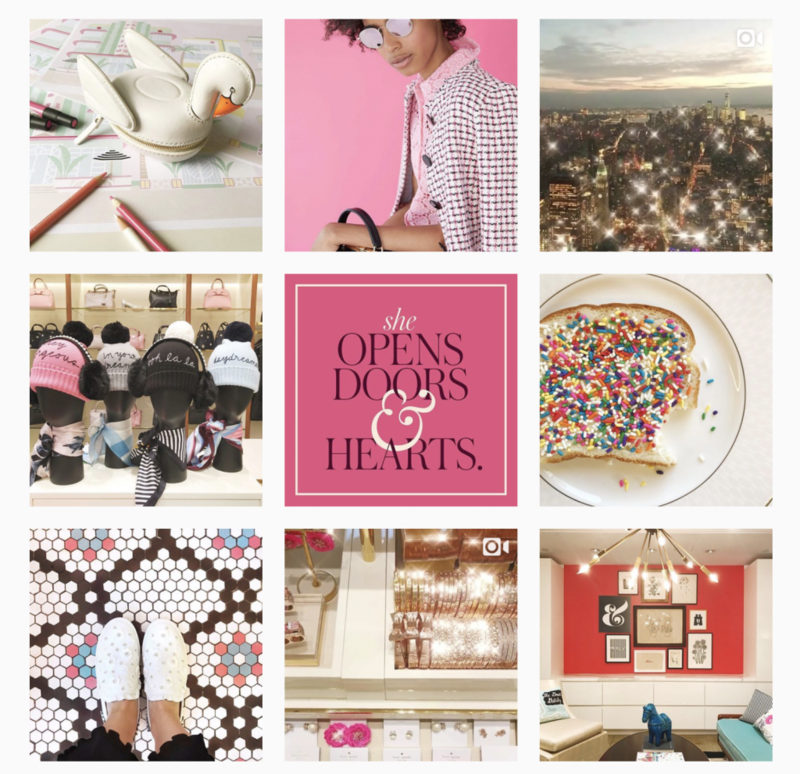 All great Instagram feeds ideas have one thing in common—consistent themes and filters. But these edits aren’t random. Instagrammers first visualize the ideal look and feel of their feed. After that, they choose filters and colors that match their brand’s identity. Creating your own unique look is easy to do using Sked’s built-in image editor. 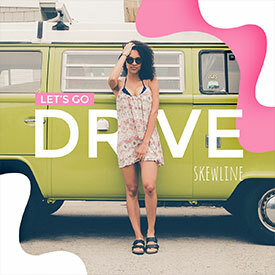 You can use it to apply filters to your images, and add text, stickers, frames, and other special effects, so your brand has its own distinctive look. 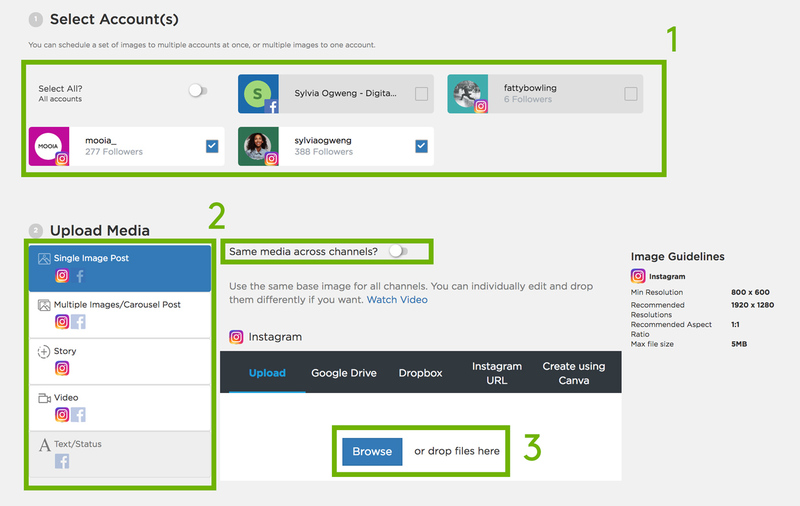 To get started, simply log into your Sked account or sign up for a free trial, and then click the “Go” button on “Upload Posts” as in the image below. One of the most popular Instagram feed ideas in the design world is minimalism. This is no surprise. The theme enables a polished and organized presentation of visual content. The Minimalist (@minimaliststyle) is one of the brands that best embodies this aesthetic. 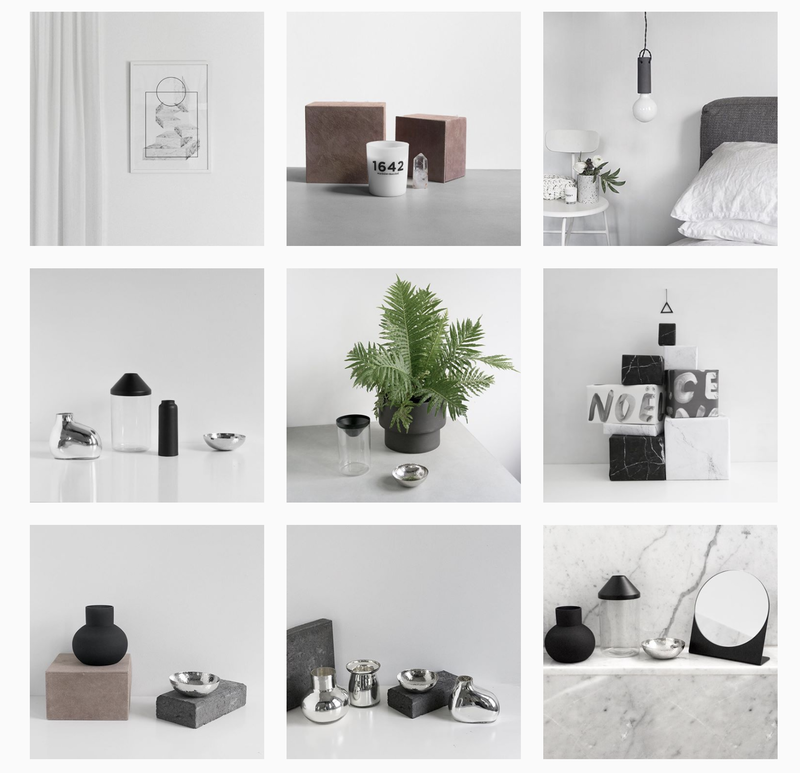 Their feed features clean and crisp photos showcasing their various designer made pieces. By sticking to a minimalistic style, they are able to showcase their products in a neat and pristine way. 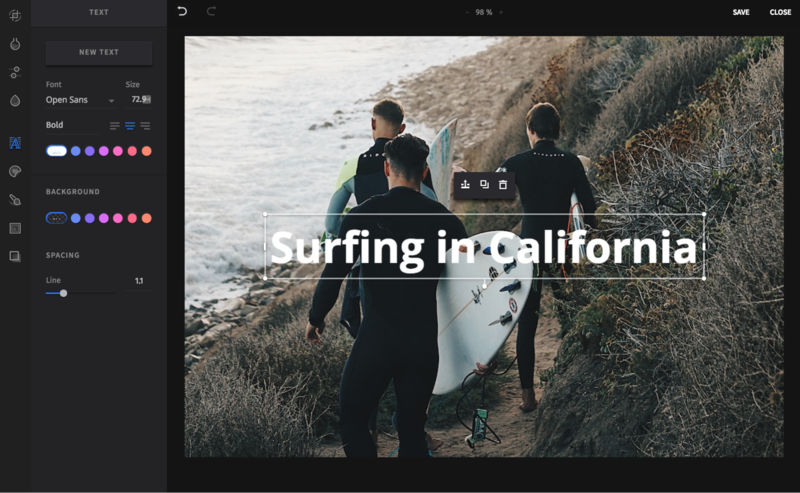 A bold and vibrant feed is one way you can get visitors to pay attention. Having a bright color scheme is great if you want to achieve a fun, cheerful and youthful look and feel. If you want bold and vibrant Instagram feed ideas, then look no further than Tara Whitman’s (@taramilktea) feed. She has 881,000 followers and she managed to turn her love for photography into a promising career. Her secret? Her feed reveals bold and vibrant photos of various locations from around the world. 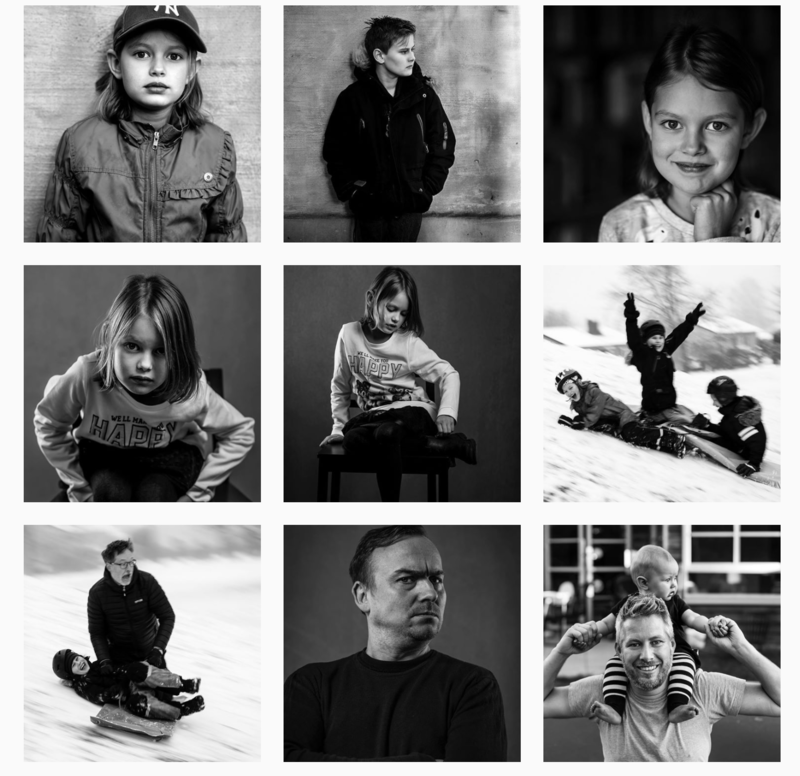 Monochrome feeds are very rare on Instagram at the moment. It is also always in style. So your feed will definitely stand out. This is perfect for brands with a classic personality. The contrast between the colors can also highlight more details on the photos. Here’s an example of the monochrome theme from 555design (@555design). 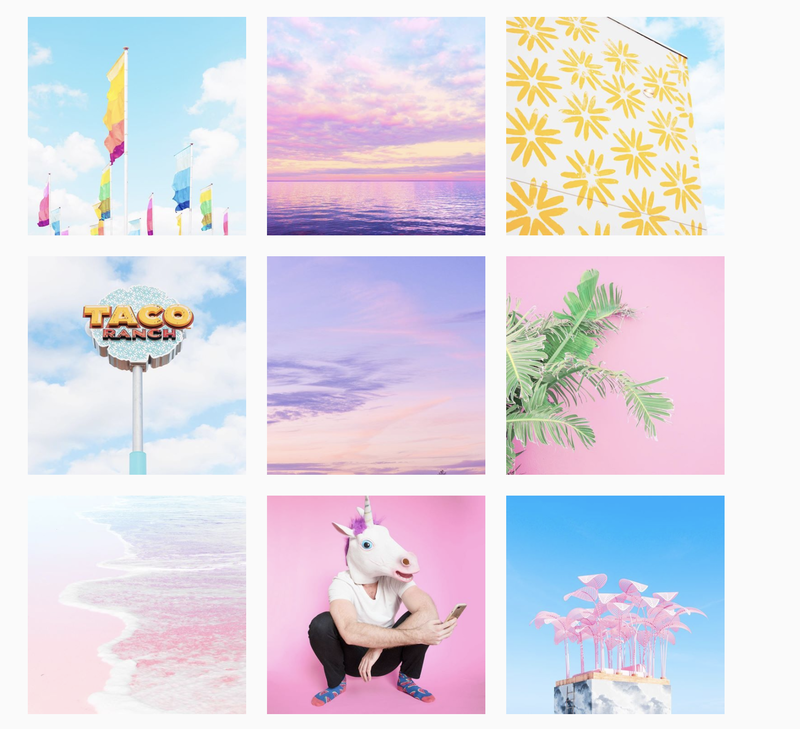 A lot of Instagrammers love pastel-themed feeds. After all, what’s not to love? 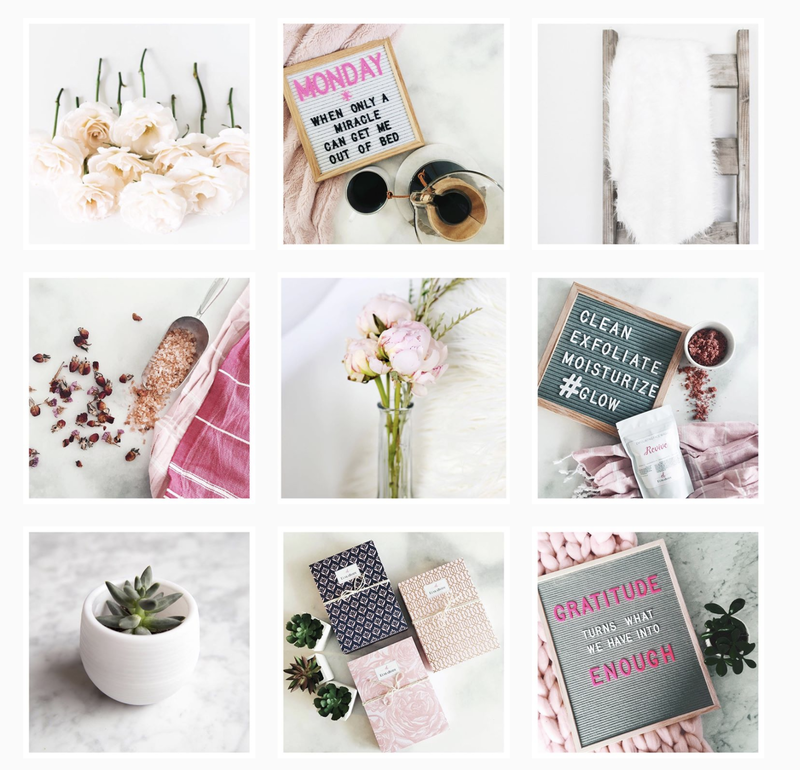 A pastel theme can brighten up your feed and make your heart skip a beat. They’re also a bit minimalist but vibrant, so they do a great job of highlighting the subject of a photo. Matt Crump’s (@mattcrump) neon-pastel is one of the best Instagram feed ideas revolving pastels. His aesthetic has been dubbed as “candy-colored minimalism.” Thanks to his Instagram aesthetic, he’s amassed 232,000 followers. 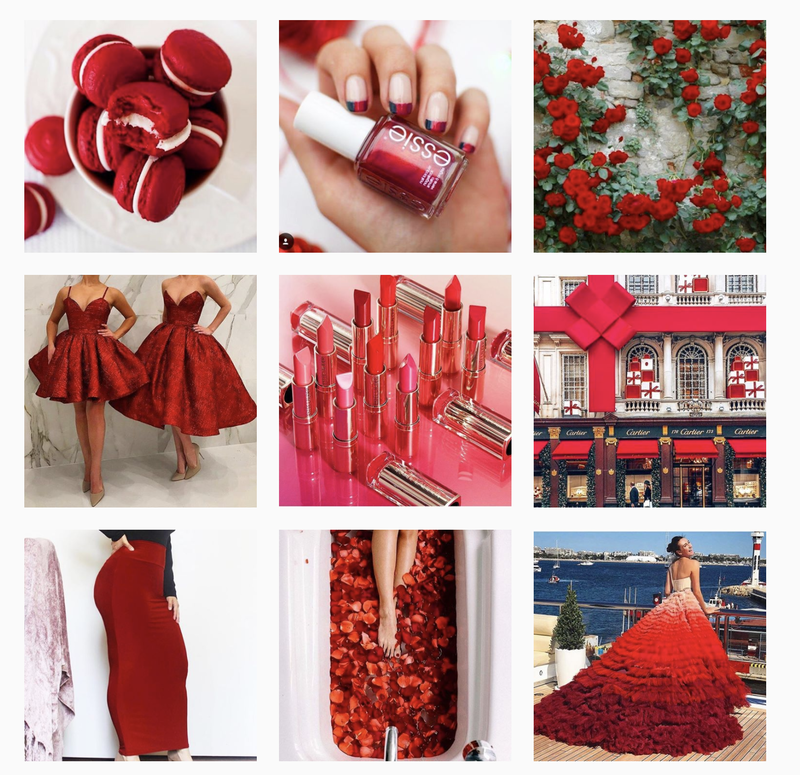 One way your Instagram feed can stand out is by making your brand’s core colors prominent. Every photo should feature 1 or 2 of your core colors. It can be difficult to make this happen if your products don’t have your brand’s core colors. But if you use consistent colored filters, or if you can think outside the box, you’ll be set. You can also create your own logo and experiment with your product’s packaging. This way, your product’s look and feel will embody your brand. If sticking to your brand’s main colors is too much of a challenge, then don’t worry! 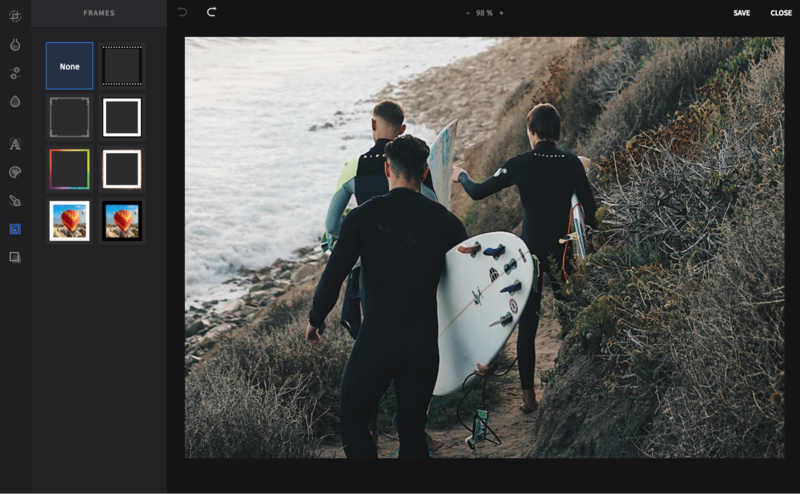 You can create a color themed feed via color replace tools. Apps like PicsArt and VSCO can do a complete overlay. Or they can replace a photo’s colors with your brand’s core colors. 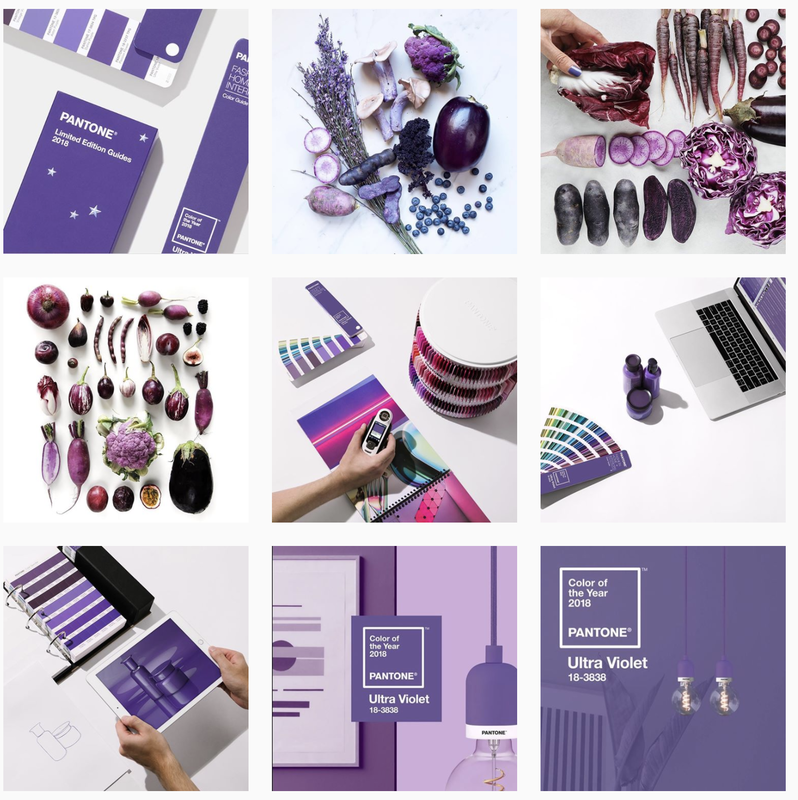 Pantone, the leading authority in color, is another great account to find inspiration for Instagram feed ideas. 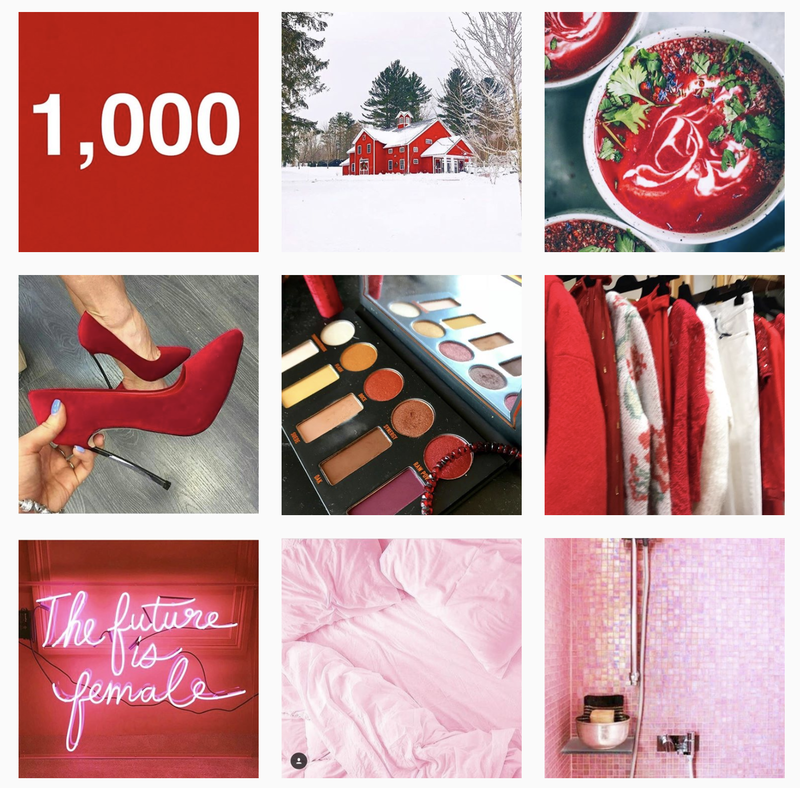 Their feed’s theme has pops of color that are consistent with the color of the year. In 2018, the brand announced ultraviolet as the main color As a result, all their posts have a touch of this color. 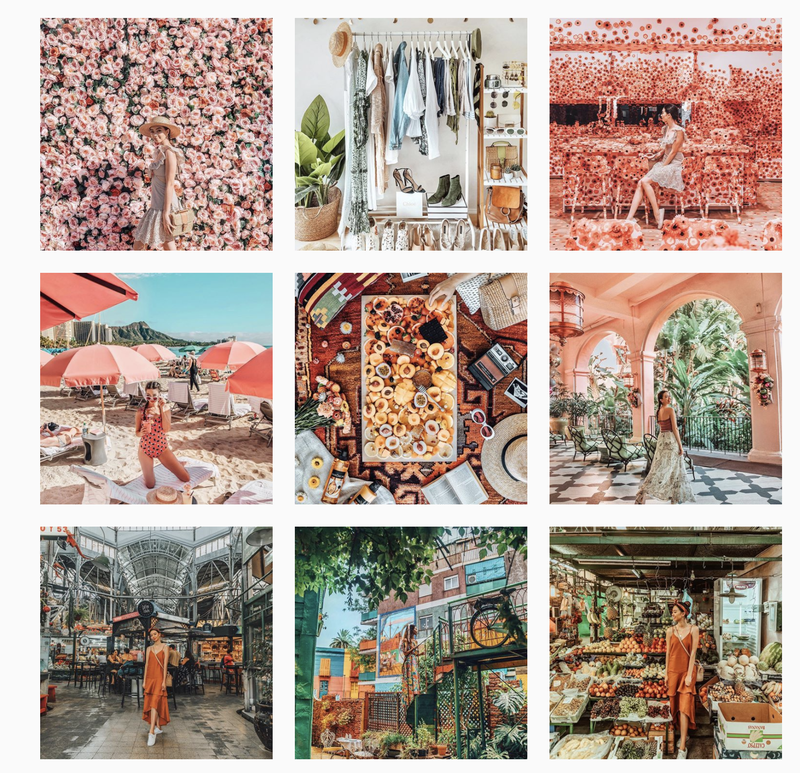 Blogger Ellesen Parlent (@ellesenparlent) consistently posts photos in the shade of orange or pink. It’s a simple act, but it makes her posts instantly recognizable to her audience. And the consistency increases the visual appeal of her entire feed. Another way you can make your feed standout is by using your brand identity. Determine the qualities and characteristics that represent your products and services. Define your brand’s personality and create posts that make it clear. You can also think of props and objects that can represent your brand. For example, Kate Spade defined the Kate Spade girl as quick, curious, playful and strong. She’s a free-spirited heroine who loves to go on adventures. So everything that the brand posts on Instagram is consistent with this personality. Their feed has inspirational quotes, fashion inspiration and lifestyle photos for women. Another thing is that they post vibrant prints that mirror their whimsical style. So think about your brand’s personality. After that, brainstorm on how you can make this identity more prominent. 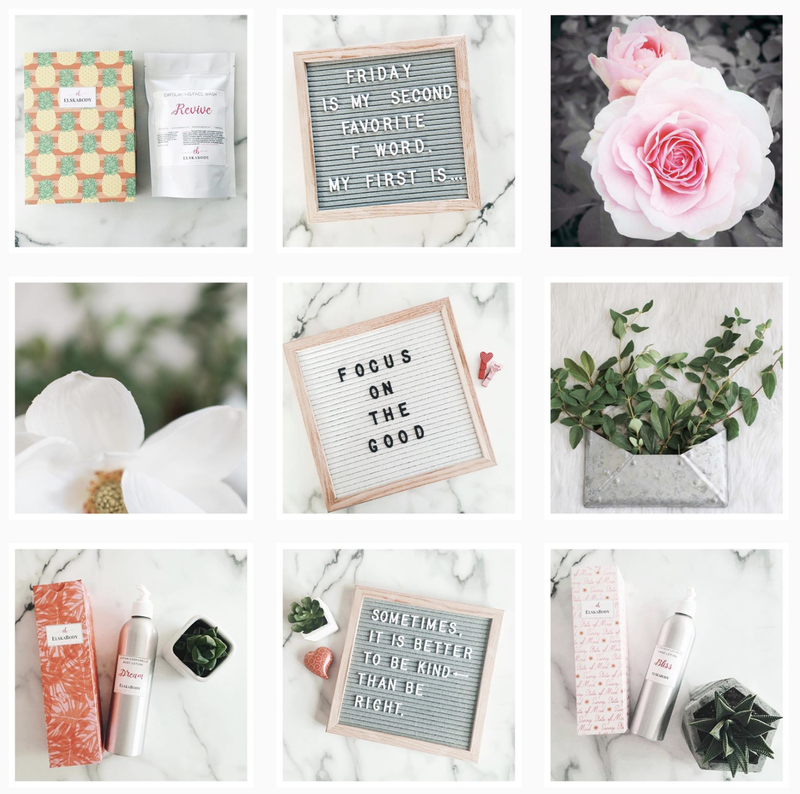 For most users, the grid layout of Instagram is often left ignored. 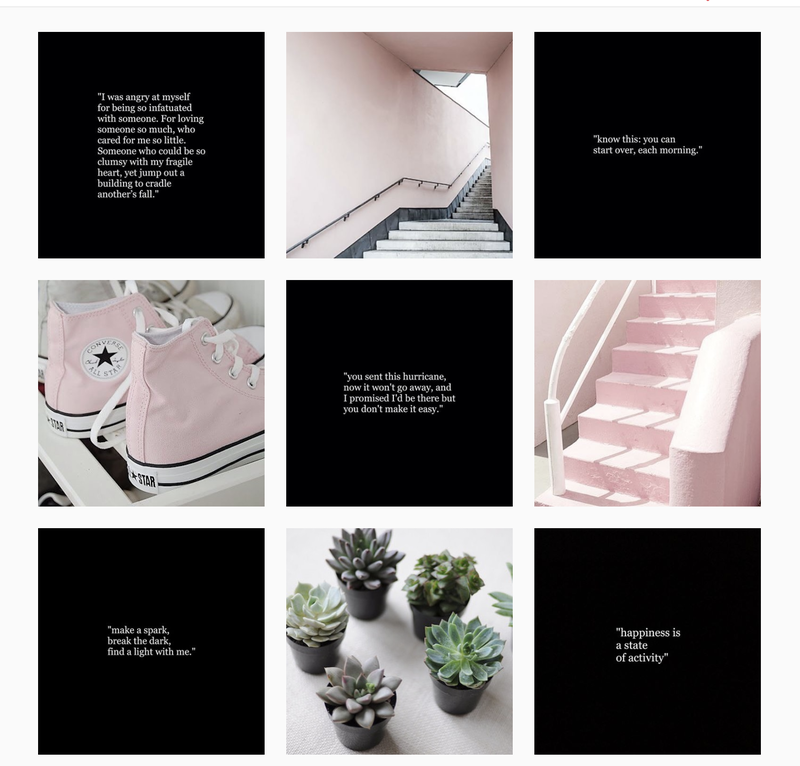 But for aesthetic-driven users, grid layouts are the key to creating a great feed. This is where Sked’s planner feature really comes into its own because it shows you exactly what your posts will look in an Instagram grid before you publish them. Once it opens, you’ll see your draft posts on the left and the planner interface in the center (it’s the one that looks like a smartphone displaying an Instagram grid). 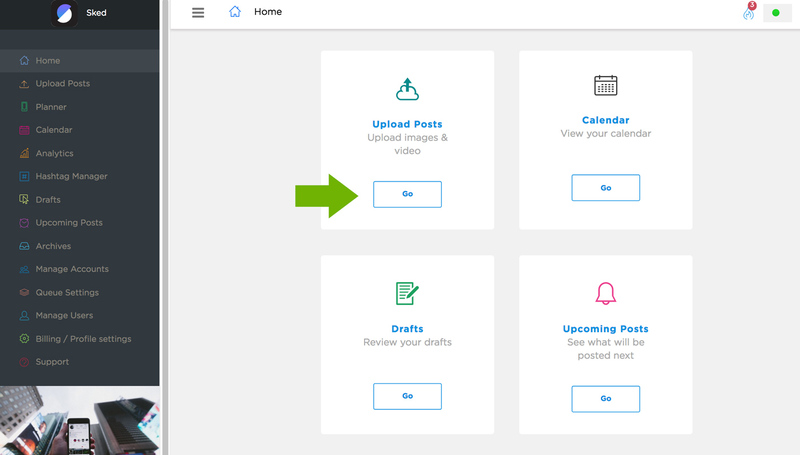 All you have to do now is drag your draft posts over to the planner and arrange them to create the perfect grid! Once you’ve got you’re grid right, click “submit changes”, as in the image below, and you’re done. The puzzle layout is one of the most challenging Instagram feed ideas to maintain. It splits a single image into multiple images. After that, each split image is posted to recreate its larger version. Here’s an example of the puzzle grid layout from Jana (@twigyposts). She sells affordable stock photos that are warm, inviting and unique. What’s great about her feed is that each individual photo is connected to other photos on the feed. So it’s interesting to scroll down to see how these photos fit together. If you don’t want to stick to your brand’s core colors, then you can take advantage of the rainbow feed. Basically, the main colors in the feed change as you scroll down. One of the best examples of the rainbow Instagram feed ideas in action is at @thecheerfulchica. For every 9 photos, the main shades are the same. In the image below, she posts photos with red as the most prominent shade. But as you scroll down across these 9 photos, the shades in each block slightly become lighter to make way for next color—pink. This type of feed requires a lot of effort since you need to change the color by blocks for every 3, 6 or 9 photos. Meaning that the props and the filters that you use may keep changing. You also need to plan how the colors in the feed will transition. This is one of the prettiest Instagram feed ideas. A checkerboard is when every other photo has a similar background or color scheme. Some alternate between lighter and darker backgrounds. Others alternate the usual photos with quotes. In the image below, you’ll find an example of the checkerboard feed by @cerebralmist. Her feed alternates with a quote in a black background, followed by a photo. 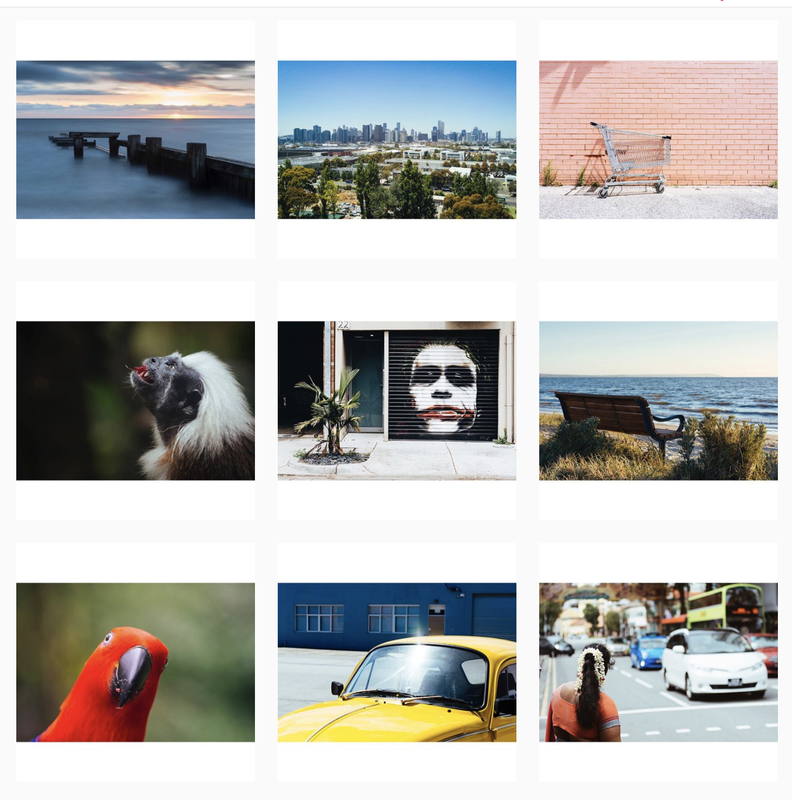 One of the best Instagram feed ideas is the vertical lines theme. The trick to pulling it off is making the middle feed white (or another distinctive color). You can add inspirational quotes on the middle feed to create a vertical line. You can also make sure that the pictures on the side are related to each other, and to the quote in the middle. With this theme, the viewer’s attention is naturally drawn to the middle of the feed. They’re also more likely to enjoy scrolling down the feed because of the unique aesthetic. A great example of the vertical lines theme is in @elskabody’s feed. She sells non-toxic skin products that have all-natural ingredients. Again, she posts quotes at the middle of the feed and the photos on the side pull off a similar aesthetic. 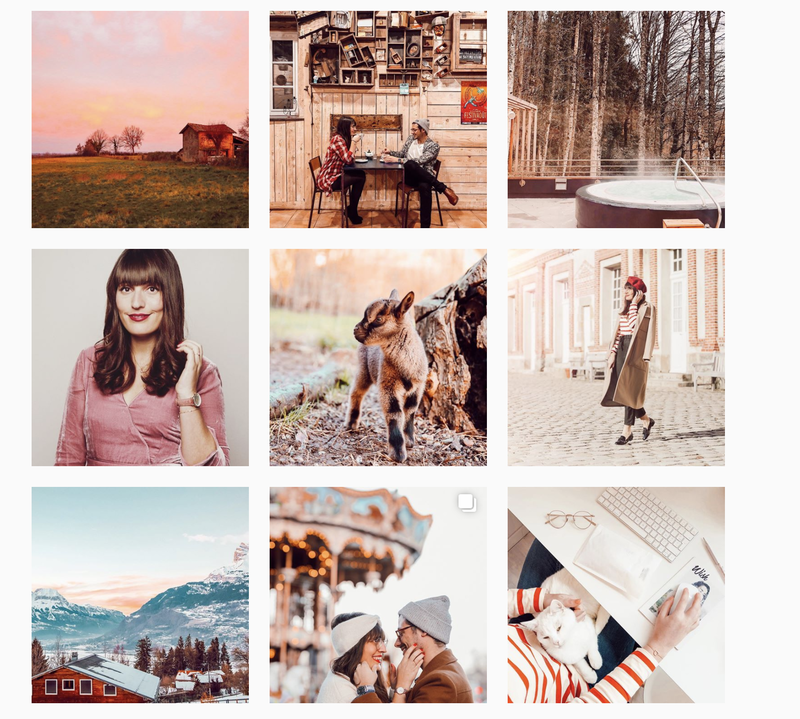 What if you’re not into the typical travel, food or lifestyle niche like most brands on Instagram? No worries! You can use text in visuals and play with words to get your brand’s message across. Post motivational quotes and inspiring messages. This strategy is often best suited for B2B’s or non-profit organizations. To add text to your images, upload it to Sked and open it in the image editor. From there, just click the “Text” icon on the toolbar and choose the font, size, color, and alignment you want to use for your message. If you need an example of how text can be used well, then take a look at Marketing Solved’s feed. The company advertises hundreds of free marketing strategies, tutorials, and resources. But their feed features quotes that will resonate with marketers and entrepreneurs. They’re not directly promoting their products, but they’ve gained a sizable following. 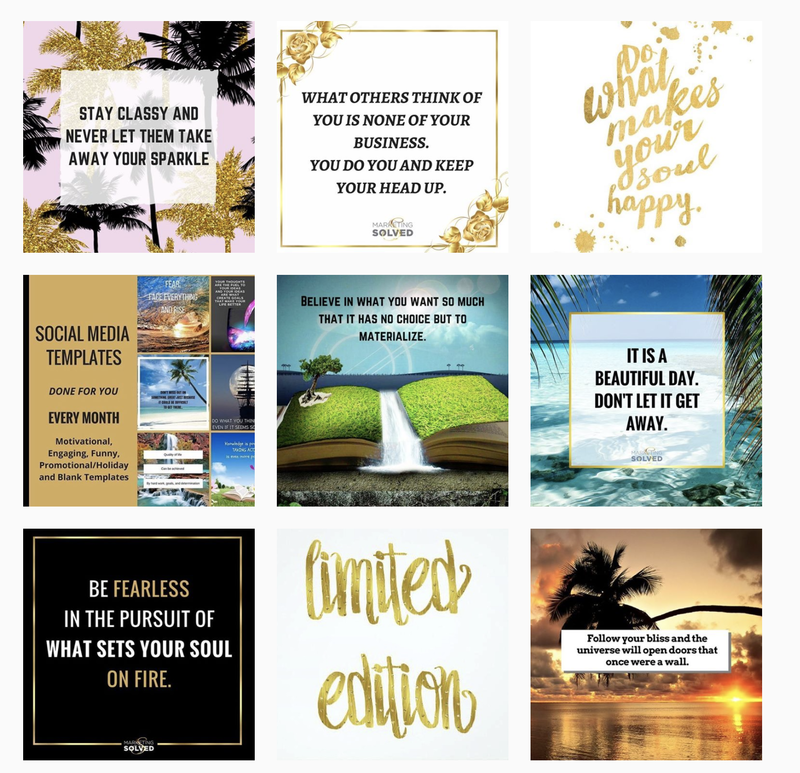 Creating an Instagram feed that has good fonts is essential if you plan to post inspiring quotes often. This is also a great idea, if you’re a design agency or a creative who wants to impress clients. 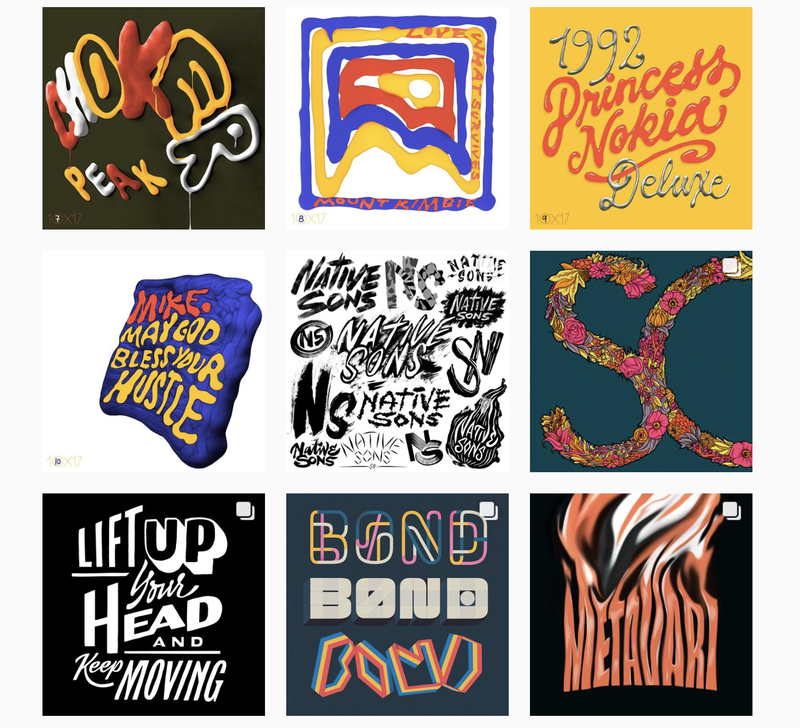 To get typography inspiration, visit Erik Marinovich’s (@erikmarinovich) feed. 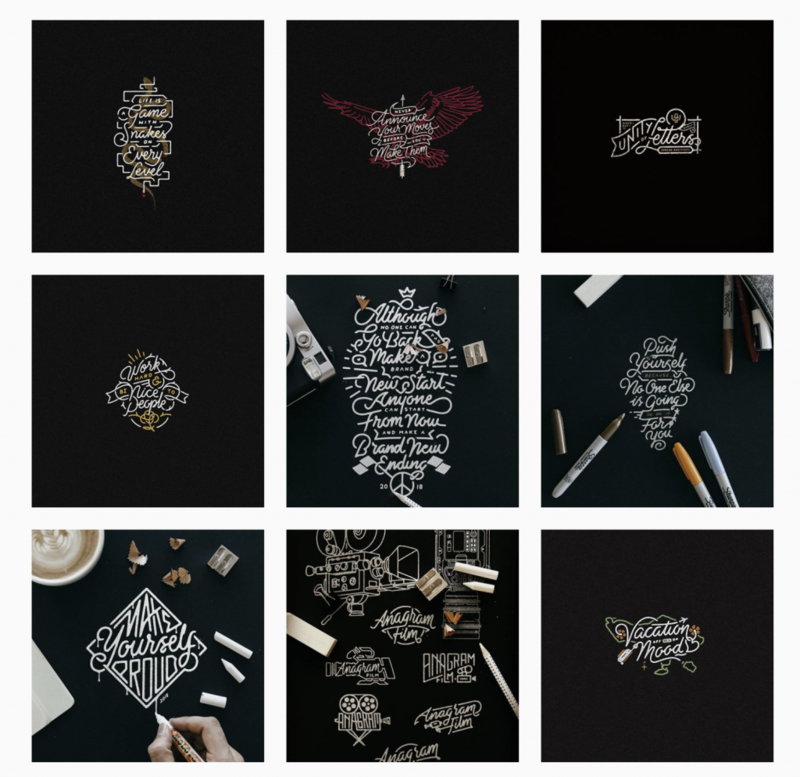 He’s a designer, lettering artist and business owner. His feed is also filled with his own creations. Thanks to this, he’s worked with brands like Nike, Target, Google, Facebook and more. Another example is Ahda (@misterdoodle). He incorporates beautiful curvy lettering and inspirational quotes in his illustrations. This led him to snag clients like Sunday Times U.K., Citizen Apparel among many others. What if you’re tired of posting product photos and you want to spice things up? Let’s say, you’re tired of posting varied photos of the pizza you sell every week. Why not try to create product illustrations with a surprising twist? 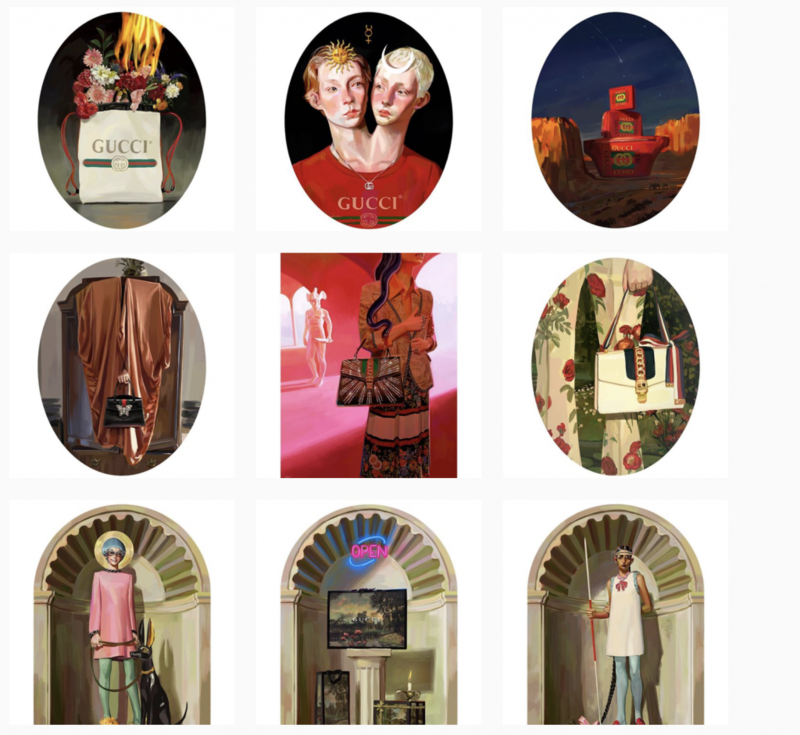 A good example is Gucci’s #GucciGift campaign collaboration with Ignasi Monreal. The artists created 80 illustrations. These told the myths of Greece and Rome, Renaissance paintings, Medieval alchemy, Spanish era among many others. Each illustration included Gucci’s ready-to-wear products and accessories. 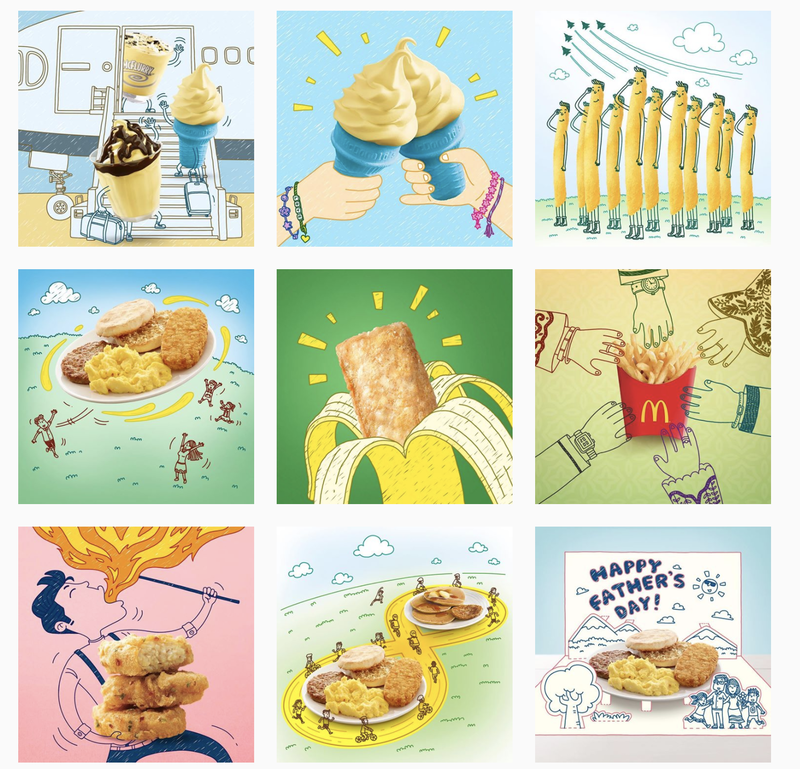 McDonald’s Singapore also used illustrations to add an interesting twist to their product photos. They added a jogging track around the photo of their breakfast meals to show how it kept people on-the-go. In another post, they had a backdrop of a man breathing fire to promote their Spicy Chicken McNuggets. While more people post photos, others are killing it with witty and creative short videos. The latter is the latest type of content to earn follower’s hearts and time—and for good reason. If they say a picture is worth a thousand words, then a video may be worth a million! So Instagram videos have the power to make stories come to life. In fact, a study from Newswhip found that while the average engagements for photos increased by 46.4 percent in 2017, the average engagements for video posts increased by 53 percent. Meaning that level of engagement for videos beats engagement for photos. Also, while comments drove more likes per posts, videos drove more comments on average. Now, how do you freshen up your feed with videos? 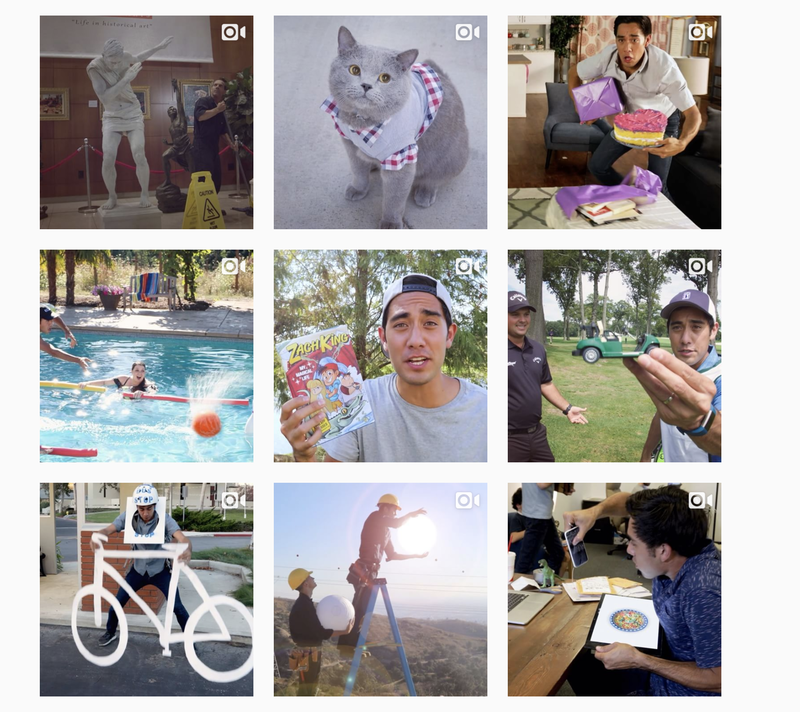 You can follow Zach King (@zachking) to get Instagram inspiration. For starters, he can shrink, turn into a statue and turn laundry into a kitten. Don’t believe me? Then check out his feed filled with creative videos that have great visual effects. His cleverly edited videos led him to gain 20.9 million followers on Instagram. In an interview, he said that the key to his success was that he tried to relay the brand’s message using his own voice. Since his followers are children, his videos are aimed to be relatable to them. Usually, he thinks of a video concept with him as the main character. Then, he adds an unexpected twist to get the viewer’s attention. What can brands learn from Zach’s success? Know what your brand’s voice and personality are. Then, try to create storylines with an unexpected twist. Choosing a border (and sticking to it!) is one way to make your feed standout. 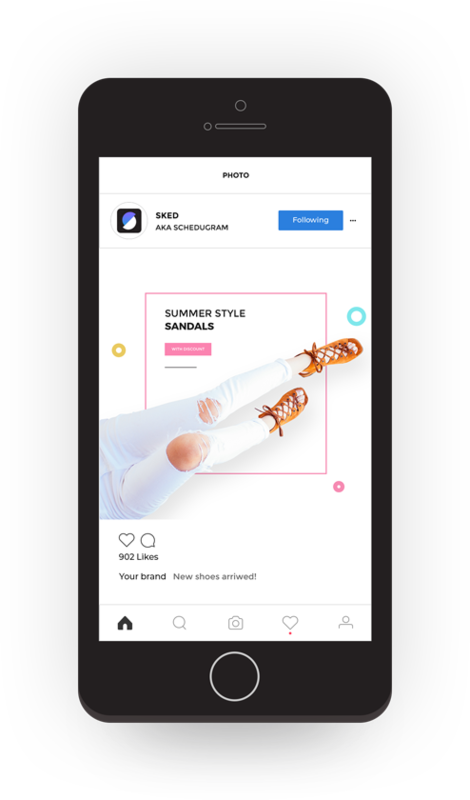 Not only do they make your feed appear to have a consistent aesthetic, but they’re also easy to do. If you want to keep it simple, then why not use the white border theme? 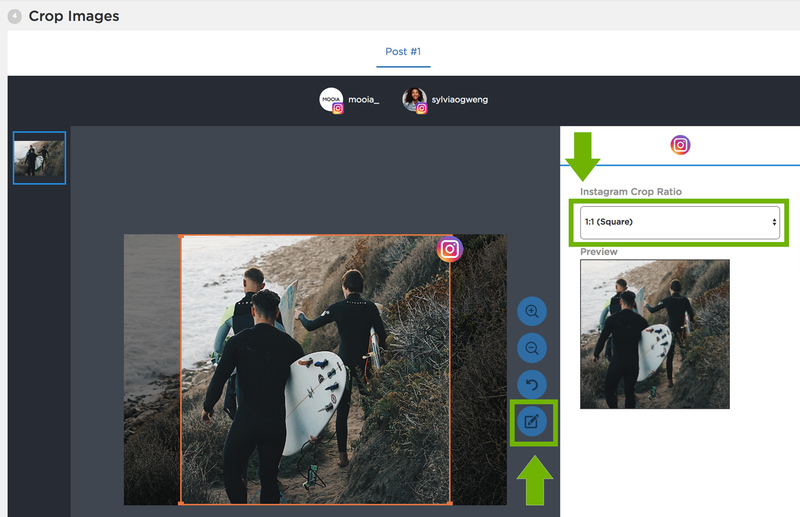 In spite of posting pictures with a variety of colors, your feed will appear consistent and it’s something you can do easily with Sked. It also helps evenly space out your photos. 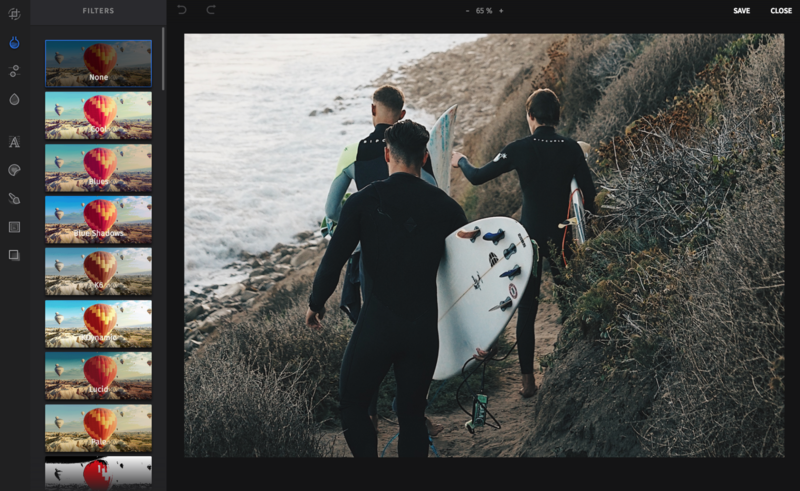 To add a frame to your images, just open Sked’s image editor, select “Frame” from the toolbar, and then choose the style and size you prefer. ElskaBody—a business that specializes in natural bath and body care—is a fan of the white border theme. The theme is perfect for her feed since it makes it appear more clean and pristine. Rectangular photos aren’t common on Instagram. So this type of border will definitely stand out. 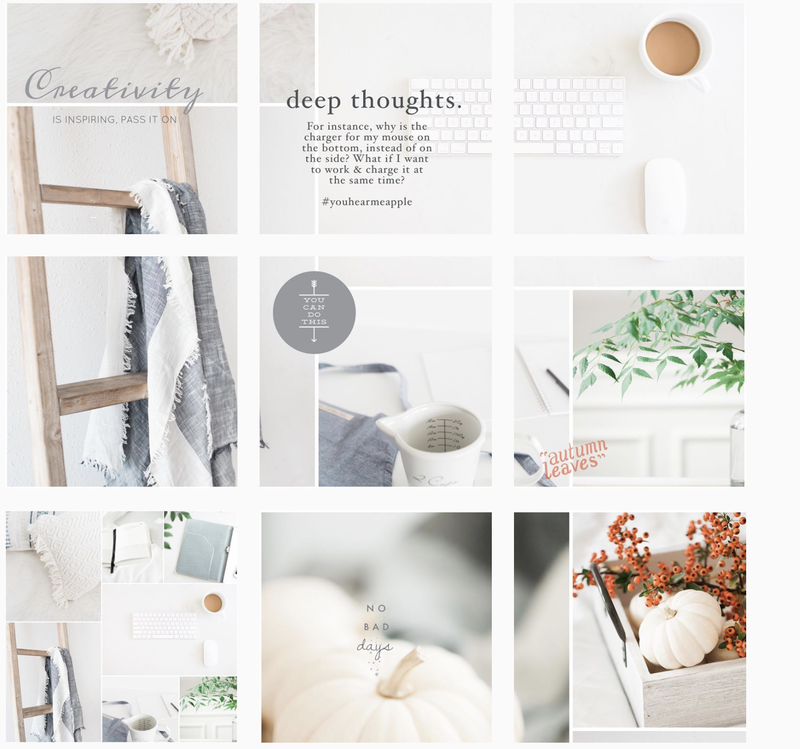 This theme is perfect if you want your feed to appear elegant and sophisticated. Not only does it make your feed appear clean, but it can also highlight certain details in a photo. The white space can also improve a viewer’s experience. It makes the photos easy on the eyes and makes it appear clean and uncluttered. Take a look at Naomi Rahim’s (@auroradesign) Instagram feed to view the border’s effect. 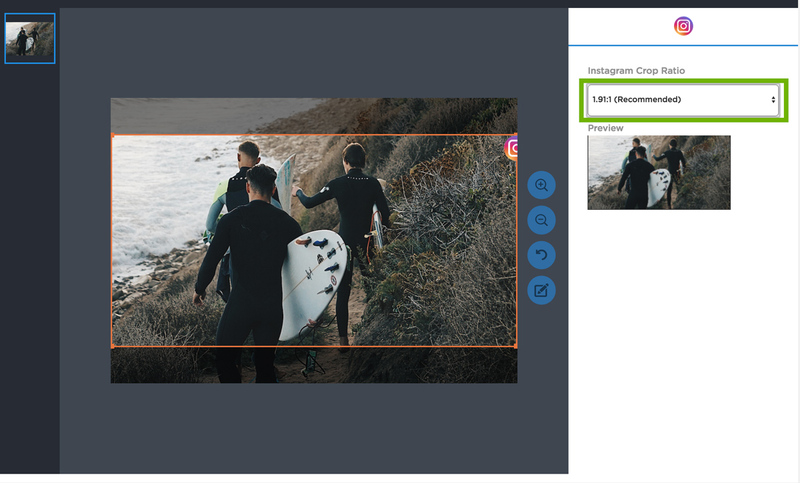 To upload rectangular images to Sked, make sure that the Custom or rectangular option (1.91:1 ratio) remains is selected when you’re uploading your image (see below). Another way you can take advantage of white spaces is by using mixed borders. 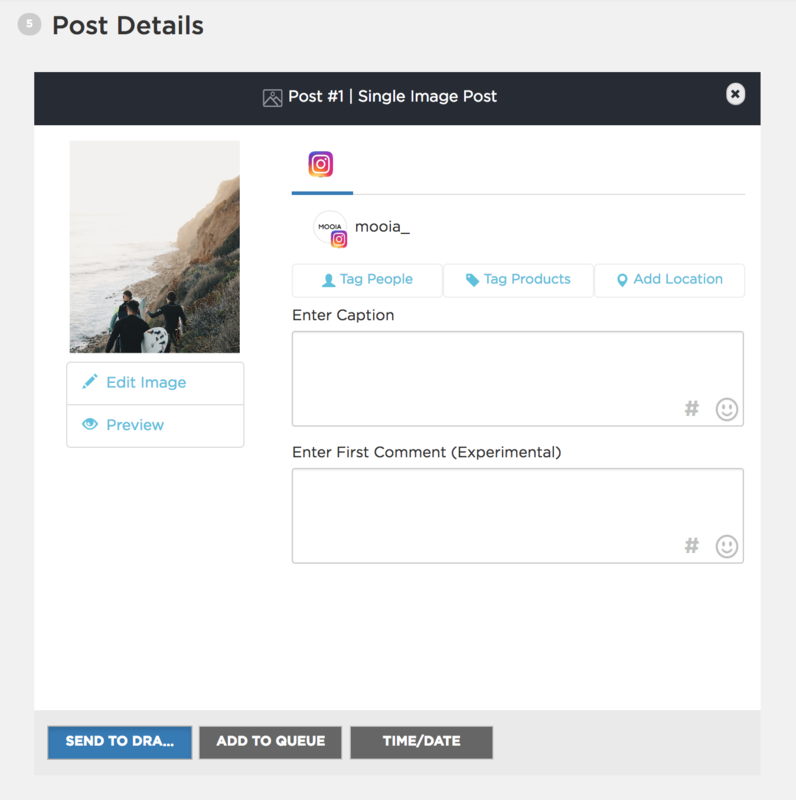 This is perfect if you want to achieve a one-of-a-kind feed that highlights each photo. Because each photo’s size seems to vary because of the white space, our eyes are naturally drawn to it. It’s time for a short recap. Choosing amongst the best Instagram feed ideas is a must if you want to make it big on Instagram. Since viewers form their first impression via the feed, you need to plan how it would appear. What are the filters you’ll use? What’ll be its look and feel? This is a challenge if you’re not a photography or design expert. 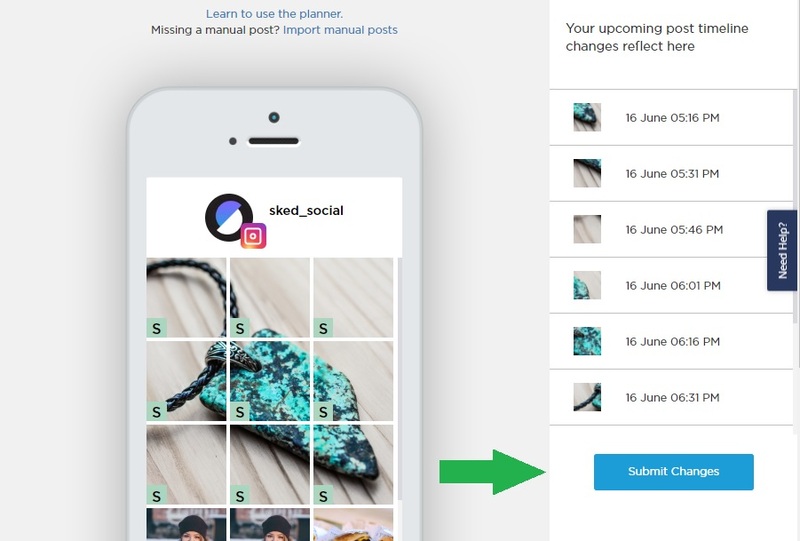 With the help of Sked’s visual Instagram planner and image editor, you should be able to put these ideas into action and create a great feed that’s set for success! Got any Instagram feed ideas? Let us know in the comments down below!